Pedro Garcia is professor of the Computer Engineering and Mathematics Department at the University Rovira i Virgili (Spain). He leads he “Cloud and Distributed Systems Lab” research group and has coordinated three large european research projects in the last years: FP7 CloudSpaces (2013-1015), H2020 IOStack (2015-2017) and H2020 CloudButton (2019-2021). 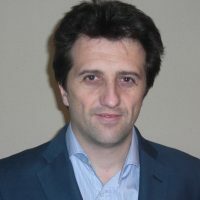 His research topics are distributed systems, cloud storage, software architectures and middleware. He has published more than 100 papers on journals and prestigious conferences (ACM Middleware, ICDCS, USENIX FAST, ICDE, IMC). He has participated in scientific committees like: Steering Committee Member of IEEE P2P, General Chair of IEEE P2P, PC Member of IEEE P2P, CCGRID, CLOSER, or WETICE among others.